Earn $1.71 in Rewards credit. Click to learn more. 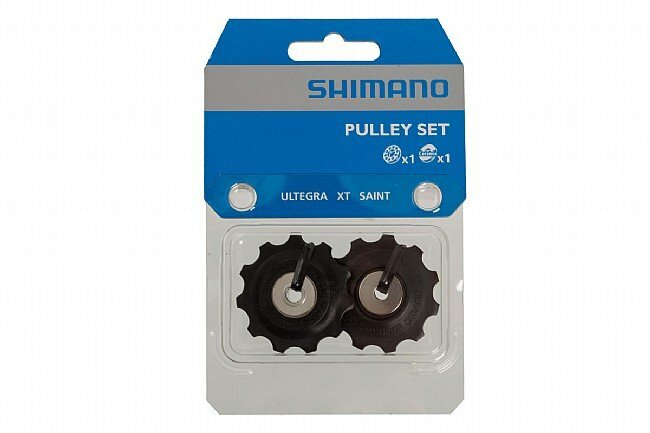 Use this Shimano Ultegra 6700 Derailleur Pulley Set to replace pulleys on 10-speed Ultegra 6700, Deore XT, and Saint rear derailleurs. Upper glide pulley features a ceramic bushing, and the lower jockey pulley spins smoothly using a sealed cartridge bearing.